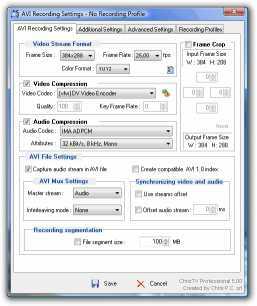 ChrisTV Standard - The PVR that TAKES control OVER your TV Card - TV on your PC with High quality image and sound - developed by Chris P.C. srl for TV Tuners with WDM Drivers installed. Supports all TV Cards based on BT8x8 chipset Philips SAA713x chipset Conexant CX2388x also works with any Capture Device like Webcams and Graphic Cards with Video IN. Great Image quality and very easy to use. 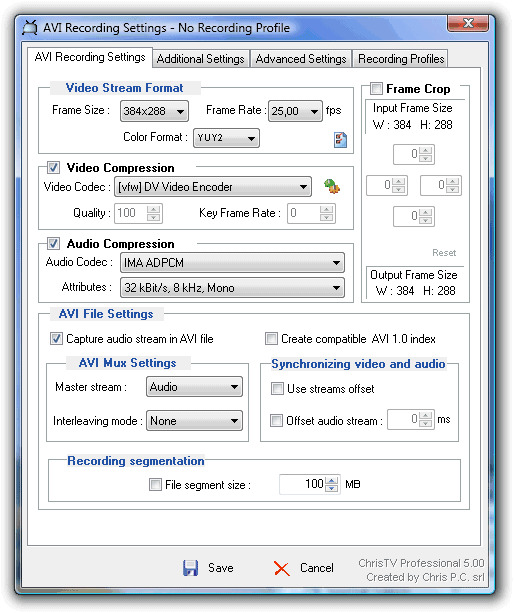 Key Features : TimeShifting Recording using any audiovideo codecs installed on users PC and MPEG Recording advanced recording settings Advanced Scheduler Radio FM support channel autoScan with fine tuning customize each channel properties support for dscaler deinterlace directshow filter zoom feature teletext winlirc Support Image Processing filters (only in Professional version) image capture mosaic with all your channels slideshow support for more than 25 languages.